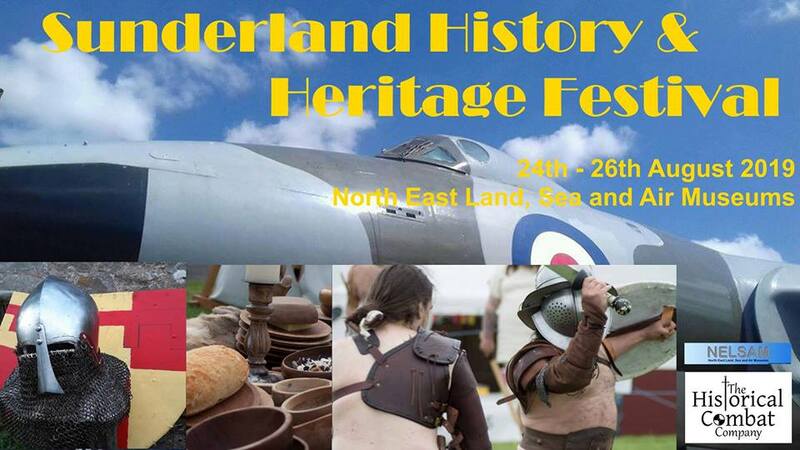 We are delighted to invite you to the first ever Sunderland History & Heritage Festival! There will be historical activities and displays, craft stalls and of course the wonderful museum itself. If you are interested in volunteering please message us. Watch the gladiatorial games unfold, see the mighty warriors do battle in the arena! Lend your support to the brave souls taking part in "Gladiator Challenge 2018". Or join them, by following the link below! With the ludus comes pocket money priced have-a-go activities, including Archery, Treasure Hunt, Candle Making, Leather Stamping, and Pottery. Can you survive a day in the ludus!? Challenge yourself, or why not set-up a www.justgiving.com page for your favourite charity and get sponsored to try and conquer this ordeal! You will be put through your paces and trained as a gladiator for a full day under the watchful eye of our Doctore... are you tough enough? Make it through the day to earn your exclusive "I survived the ludus" t-shirt. Wallington Hall, Northumberland 18th October 2019. Remember to follow us on Facebook, Twitter and Instagram!